Whether you’re a Branson local, or you’re simply visiting this Halloween Season, you’ll find plenty of festive fun to enjoy the season. Halloween in Branson is a wonderful time for kids as they can enjoy many fun-packed activities. The locals and visitors alike always have the opportunity to enjoy many forms of fun activities such as enjoy a trick or treat, a visit to a haunted house, or see witches, goblins and ghosts. When you want to enjoy a fascinating vacation with your kids in Branson this Halloween, be sure to visit these top 3 Halloween spots in Branson. Branson Landing is one of the top 3 Halloween attractions in Branson where kids can enjoy a trick or treat. 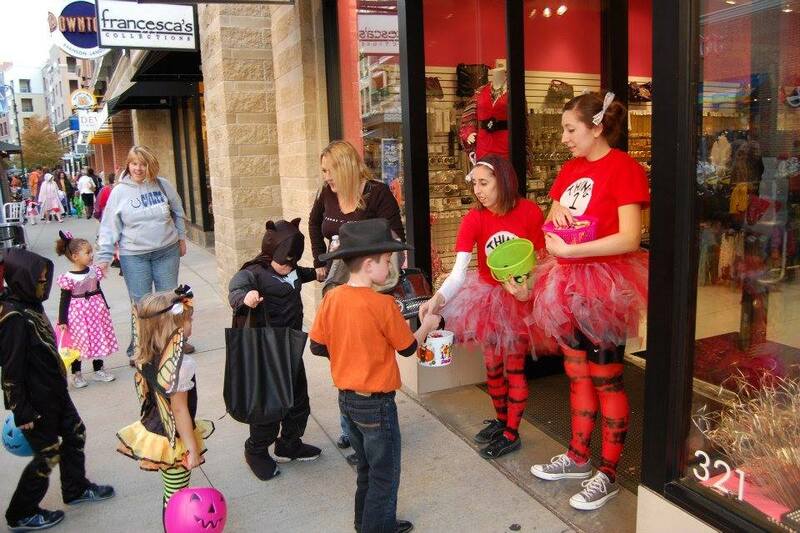 This is a time that Branson Landing will host its annual Safe Street Trick or Treat event from 5 to 7 pm on October 31. This time, parents seek a safer way to take the kids for trick-or-treating activity. Walking from house to house seeking candy and other goodies is one of the most beloved traditional Halloween tradition. In the area, you will find a variety of Branson businesses that host a safe Halloween trick-or-treating events so the kids can fill their buckets and sacks with plenty of sweets. This Halloween event is exclusively for children in costume up to age 12. After the trick-or-treat activity, getting a spooky visit at Haunted Houses is one of Halloween attractions in Branson where kids and adults alike want to experience one of America’s favorite Halloween activities. If you want to be scared out of your skin this season, make sure a visit to Branson is in your list and take a trip through some unique houses of horror. You’ll find this house of horrors next to Walmart on the Branson Strip. All visitors should be prepared for a fright. This haunted house boasts state of the art animatronics and special effects to bring the ghouls, goblins, and other creatures that go bump in the night to real life for you. Ghost and Legends Tour is one of the newest attractions in Branson that will take you on a spooky experience in a haunted environment through downtown Branson. This one-of-a-kind tour in Branson is a 90-minute journey that will take you to a leisurely stroll at some of the legendary and historical landmarks in town. This fascinating tour is filled with mystery, local history, legends, and stories of the past as you are guided through the dark streets and alleyways each night. You may feel a unique experience of your own during the tour. It might be a cold chill, a tap on the shoulder, or a capture of the spirit on your own camera. Orbs, ghosts, all mixed with haunted stories of the past in the enchanted town of Branson. That’s what you will experience with Branson Ghost and Legends Tour. Branson is not just about live shows, great museums, theme parks, nature trails, and pristine lakes, there are also fascinating spots in the area where you can enjoy the Halloween.